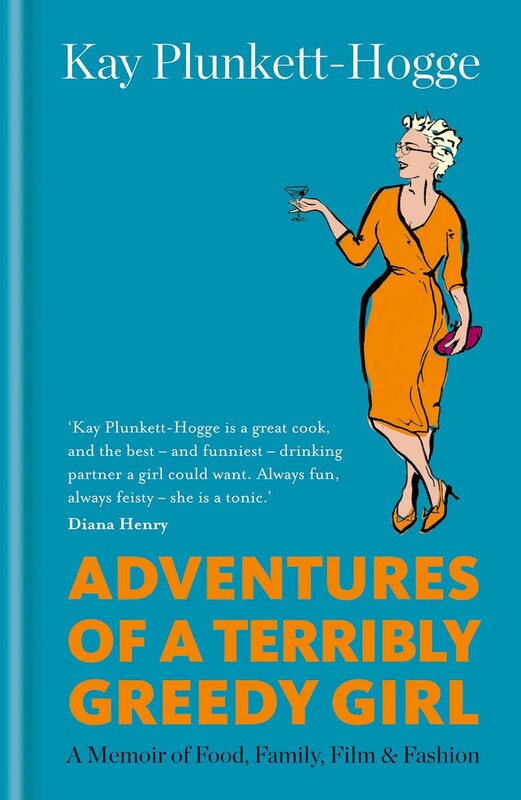 Kay Plunkett-Hogge has a new book out and it’s really delicious. 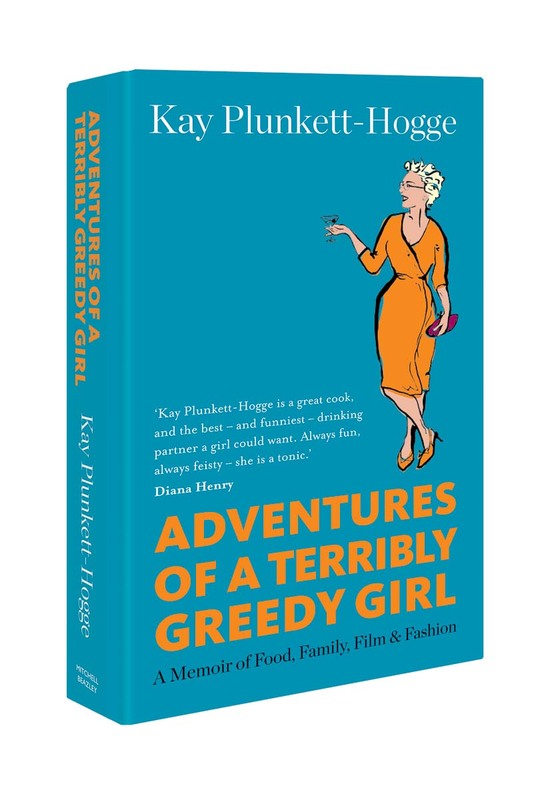 Adventures of a Terribly Greedy Girl; A memoir of Food, Family, Film and Fashion is funny, feisty, insightful and a bloody good read. I read it cover to cover, at times weeping and at other times laughing out loud, but all the time craving the food – in particular the exotic Thai food of Bangkok and the comforting British grub of her Gran Sally. The book contains recipes from around the world that I will be cooking and sharing in the coming weeks and as you’d imagine from Kay’s previous work, Make Mine a Martini and A Little Sherry and a Plate of Tapas there are cocktails in addition to the food. She left me wanting more and was gracious enough to answer a few questions. 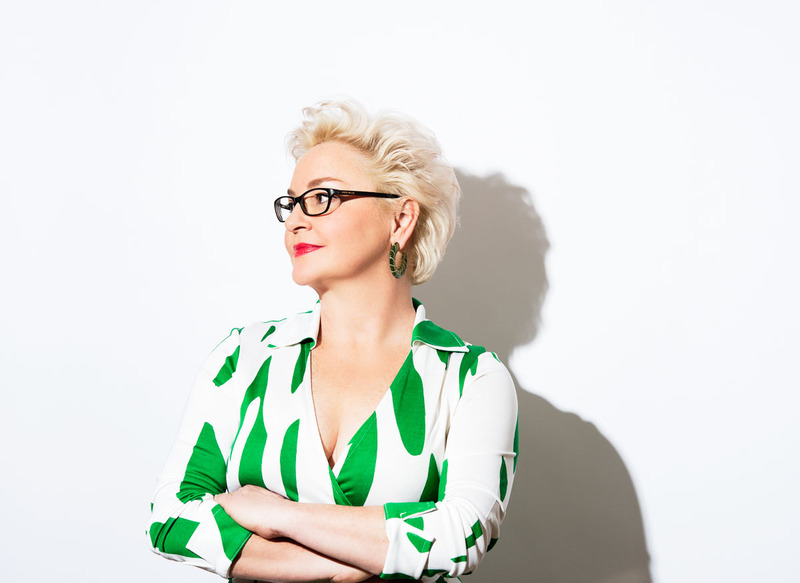 From fantasy dinner party to her top 5 things for a better life you know we could all use a little of this – there’s going to be Hollywood glamour, billy bargain designer shoes, 3-martini lunches, spicy Thai chillies and more. LL: I loved the chapter on the art of a good party. Alive or Dead top 12 guests, not including your parents, for the most fabulous party. KPH: Ooh! Good question. Everyone loves a game of fantasy dinner party. Well, Fred, for sure, because I couldn’t host it without him. Then Lauren Bacall and Humphrey Bogart, Nick and Nora Charles (are we allowed fictional characters?) as played by William Powell and Myrna Loy in The Thin Man, Nora Ephron, David Niven, M.F.K. Fisher, Carrie Fisher, Phil Rosenthal, William Goldman, Lee Miller and Ed Masterson—the nicer brother of Bat, who got killed in Dodge for being too affable. I’m sure he’d have good stories. LL: You are extremely anti-cake but why? I’d like to dig a little deeper and find out why this bothers you so much – childhood memory? 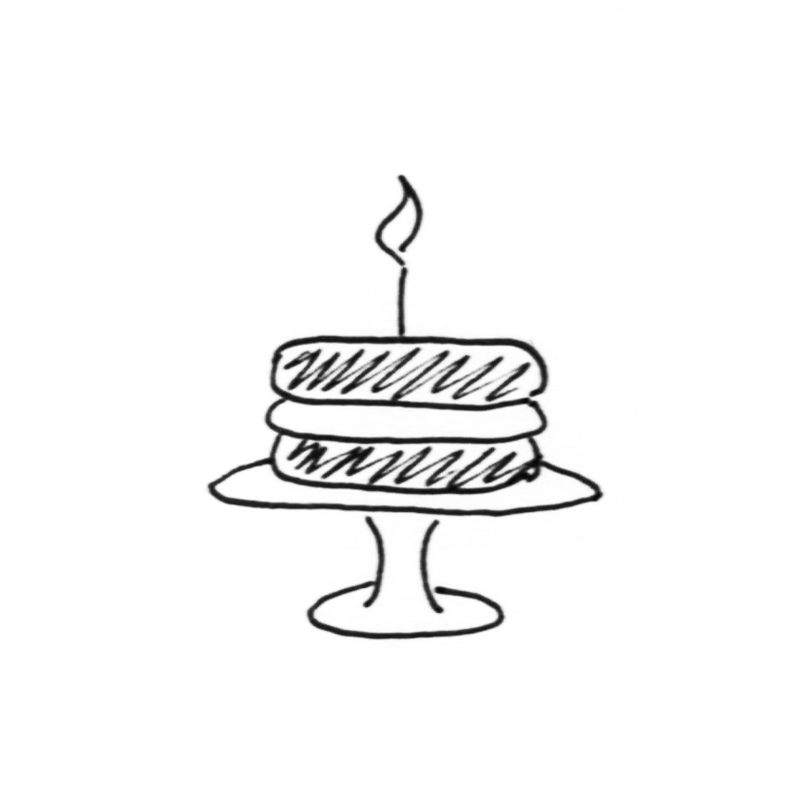 Is it just the notion of cake for breakfast and people using cake as a comfort food/reward? Or is it a reaction to the cupcake craze? Nigel Slater once told me baking a cake was the ultimate form of comfort food you could do for someone – could you ever see this as true for you? KPH: It’s nothing that deep, Lucy! I simply don’t have a sweet tooth. I did when I was a child, but it waned as I grew up. It’s not that I’m anti-cake per se — like I say in the book, I love a thin slice of Sacher Torte as much as the next person. But I loathe the fetishisation of cake as some kind of panacea for all woes, and I despise the inherent infantilism that goes along with all things cupcake. Endless pictures on social media—it’s so very wearing. To my mind, cooking anything for someone is an act of love, especially if you make them something they love. So, if you have the oven on, I’d prefer a decent Shepherd’s Pie. LL: I love Thai food, your book had me craving Jitlada, and I consider myself a good cook but I’m always put off Thai recipes because of the long list of ingredients – any advice? KPH: Well, not everything has a long list of ingredients! But you’re right, it can seem intimidating. Thai food, in fact Asian food in general, is all about the prep work. 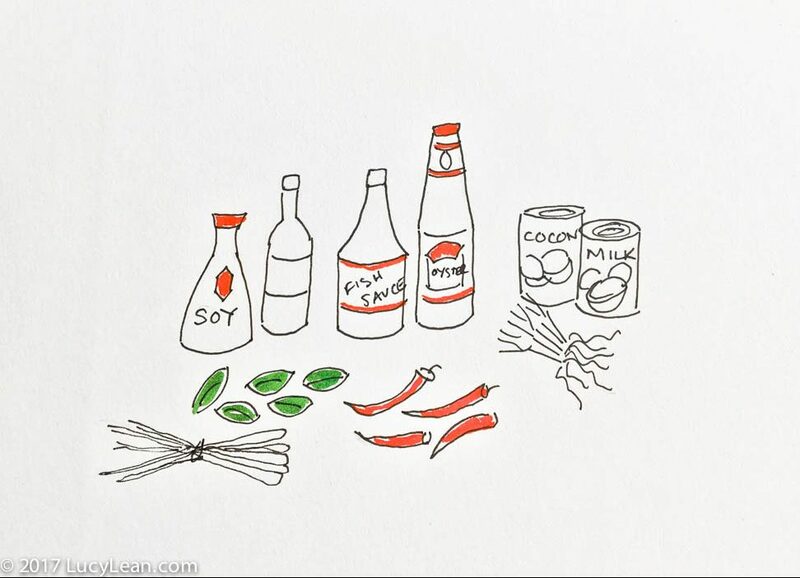 Make sure you have a few staples in your store cupboard: fish sauce, soy sauce, oyster sauce, dried chillies. I always have lemongrass, lime leaves, chillies and coriander root in my freezer, and a couple of cans of coconut milk in the cupboard. Then it’s just a case of buying fresh ingredients as needed. In London, I go to Chinatown; in LA I go to Silom Market on Hollywood Boulevard where, by the way, you can buy a number of things already made — something Thais do all the time. But, honestly, you don’t have to make every paste from scratch. Most Thai cooks don’t. Next time we’re in each other’s kitchens, how about I show you how to knock up a quick Thai meal for the family to remove all your fears. LL: Yes please, can’t wait to cook together. LL: You describe ‘Diet’ as a four letter word and yet you mention, almost in passing, in a 3 word sentence, “I five-two.” How do you five-two? Any tips for someone dabbling in this? Want to share what you eat on the two days? KPH: I don’t believe in diets, as peddled by the diet industry. But we do have to watch what we eat after we hit a certain age, and I don’t really want to buy a whole new wardrobe. I’m not fascistic about only 500 calories on a “two day”, but I won’t have a drink on one. And I tend to veer towards Asian food — light noodle soups, simple stir-fries, kow mun gai (aka Hunanese chicken and rice). Here’s the thing: every time I go to Thailand, I eat like a pig and I always lose weight. It’s not about depriving yourself; it’s about being “sensible”, as my grandmother used to say. 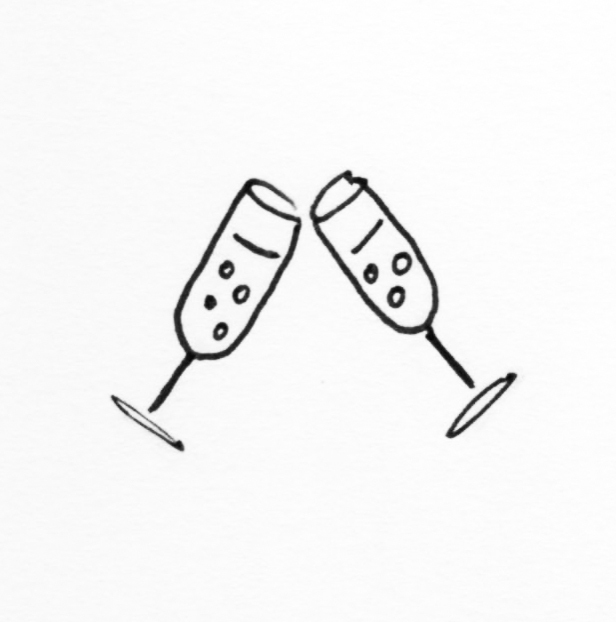 LL: I’m all about Lean Luxury to live a healthy life – I get comfort by adding luxury to every meal and it helps me eat in a healthier way – apart from an intelligent husband who makes a great martini do you have other ways of injecting your life with luxury? Quick fixes that make you smile that others might benefit from – shoes jump out – it doesn’t have to be a food fix! LL: 10 things you would ban made a lot of sense to me but I’d like to know more about the things you believe in – including the 3 martini lunch what are the 10 other things you would insist everyone does/has for a better life? 1. Stay curious: we humans are supposed to be curious creatures — we figured out how to take a bitter red berry and turn it into coffee; we figured out celestial navigation — so, for God’s sake, find things to be interested in. If we aren’t curious about the world and the myriad of things in it, we start to die slowly and nastily from within. 2. Learn to make sausages — life is too short to eat bad sausages, so take control of the whole sausage making scenario. 3. Have at least one item of clothing that was made just for you — it will always make you feel better. 4. Find a way to give back — in the developed west, we live lives of unimaginable luxury. By sponsoring Bo-That and supporting The Thai Elephant Hospital, I know that I’m not just helping an endangered species, I am also helping to support and improve an entire way of life that is built around and depends upon elephant husbandry, which helps both humans and animals in the country I love. My friend Sarah just came back from a stint helping out in the refugee camps in Thessalonika. These are practical things. Sometimes giving time is better than giving money. 5. 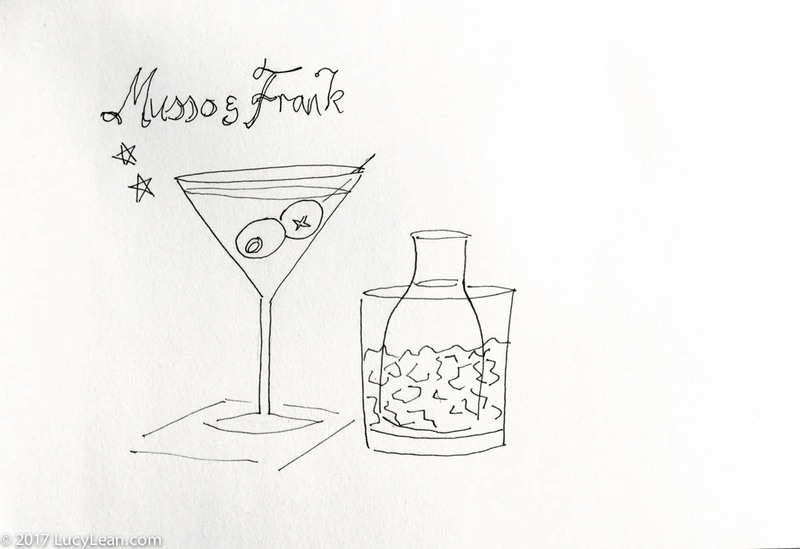 It doesn’t have to be a 3-martini lunch necessarily, but lunch matters. Far too frequently, we have to grab a sandwich on the run, and so on. And that’s fine — we all lead busy lives. But… lunch… with friends… out or at home… matters. I’m not sure why, but increasingly I prefer long, languorous lunches to dinners. Somehow there seems to be more time. It’s a little bit more casual. Conversations range more freely and more widely. Perhaps it’s the daylight, I don’t know. But a long Sunday lunch with friends (aka the family you choose) is good for the soul. LL: Can’t wait for Greedy Girl the sequel! Thank you to Kay for her book, her wit and her wisdom. Next time she is in Los Angeles we are going to host a party to celebrate all things Greedy Girl. The guest list is taking shape nicely – ghosts and all. Let me know in the comments section below if you’d like to be invited. I’m thinking a languorous luncheon at the beach house with Fred’s martinis, fabulous friends and lots of laughter.